When Barak and the Israelite army routes Sisera’s army, Sisera escapes and takes refuge with Jael. He seeks her because her clan has a favorable history with his country. Pretending to protect him, Jael takes him in, attends to his needs, and then slays him by bashing in his scull while he sleeps. Though a violent and gruesome attack, it’s likely the only means she has to kill him. She is strong enough to do this and brave enough to take decisive action. This fulfills the prophecy of Judge Deborah who, after Barak’s reluctance to obey God, foretells that the credit for the death of Sisera will go to a woman instead of Barak. 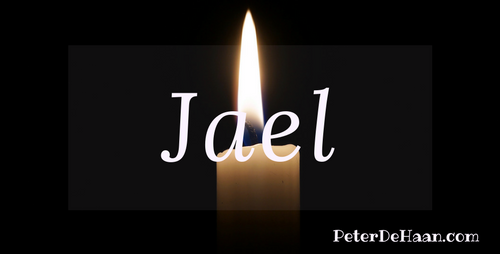 As a tribute to Jael’s valor, Deborah immortalizes Jael’s actions in song.